The Dutch government is willing to support the natural gas project in the Gaza Strip to provide electricity in the besieged strip, Palestinian unity government Prime Minister Rami Hamdallah announced yesterday. In a statement on the sidelines of the second Dutch-Palestinian Cooperation Forum held in Amsterdam yesterday, Hamdallah said the Netherlands had agreed to support the natural gas project for a power and water desalination plant in the Gaza Strip. Zafer Milhem, executive chairman of the Palestinian Electricity Regulatory Council, told an Anadolu correspondent that the unity government is determined to change the power plant in Gaza to allow it to operate on natural gas in the near future rather than industrial fuels. Gaza suffers from a severe energy crisis which forces the Gaza electricity company to cut off electricity to some areas and provide it to others. The amount of energy provided by Israel and Egypt does not meet Gaza’s daily energy needs. Gaza requires 360-370 megawatts of electricity in order to operate 24 hours, but it only receives 210 megawatts, 120 from Israel, 32 from Egypt, and 60 from its own power plant. Dutch government issues new travel advice for travellers to West Bank; Israel hits back at 'unacceptable slander'. The official website of the Prime Minister of Holland has recommend that Dutch citizens exercise caution in the vicinity of Israeli settlements in the West Bank, saying that settlers "throw rocks at Palestinian and international vehicles." Israel has reacted furiously to what it calls "slander", and has says it will take the matter further. The travel warning lists the dangers in traveling within the region, including an explicit warning to be wary during all travel in the West Bank and East Jerusalem. The warnings include an information section that highlights the frequent protests and violent incidents within both areas. "Jewish settlers live in illegal settlements in the West Bank," the warning states. "These settlers regularly organize demonstrations on and around the roads. These demonstrations are sometimes violent. 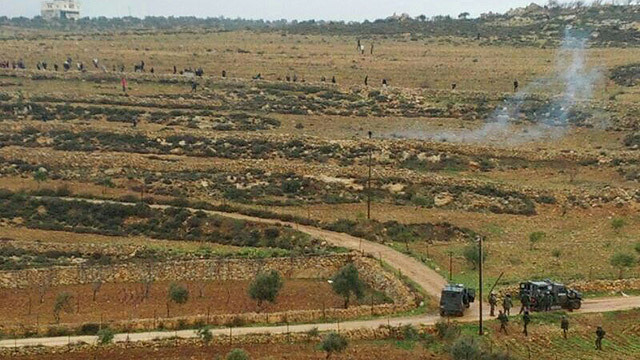 It happens that settlers throw stones at Palestinian and international vehicles." The warning specificly mentions the hills around the towns of Nablus and Hebron and the closed military zone in Hebron, which includes the Tomb of the Patriarchs, also known as the Ibrahimi mosque, a source of frequent friction between Jews and Muslims. These areas are labeled as "zones of settler hostility". The website further warns citizens against travel to Gaza, labelling the security situation as relatively calm since the cease fire on August 27, 2014, after a 50-day war between Israel and Hamas. But, according to the warning, "the situation is unpredictable. The living conditions are worse. Through it all, the security situation in a short time can deteriorate further." There are dangers of infighting between Hamas and other Palestinian factions within Gaza such as Islamic Jihad, according to the advisory. This, the site says, is in addition to the ongoing risk of becoming a victim of an Israeli airstrike. 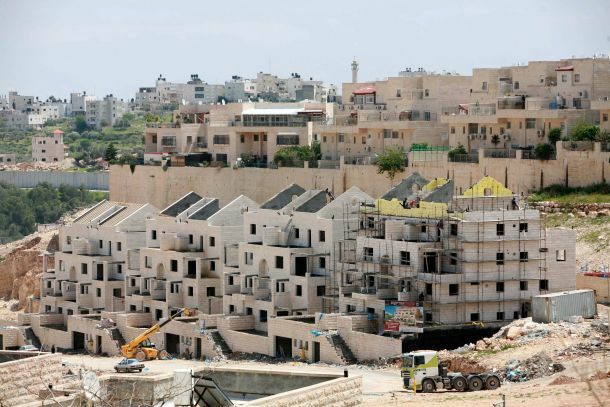 On the matter of violent protests, the report warns that: "Jewish settlers continue to build homes and villages in the West Bank and East Jerusalem, thus there are continuing protests and tensions have risen in Jerusalem." The report places the brunt of responsibilty for the frequent protests and riots in East Jerusalem squarely on the shoulders of the Israeli settlers. The Israeli Embassy in Holland said in response: "It is unnaceptable to slander the name of a whole community, we will make our objections known to high level officials in Holland." The Dutch decision to cut down stipends by 35% to Holocaust survivors that now live in colonial Israeli settlements, caused an Israeli wrath. The move is seen as a European escalation in Brussels' continuing campaign to punish Israel for its continued settlement activity beyond the 1967 Green Line. The head of the Center of Organizations for Holocaust Survivors and ex Israeli MK, an Israeli umbrella agency representing 52 different groups that seek to promote the welfare of those who survived the Nazi holocaust, told Israel Radio on Monday that the new policy was misplaced. "European government can certainly take a position as it relates to Israel's policies in the territories, but the conclusions in this regard need to be taken up with those who make the decisions in Israel," Colette Avital said. "It is surprising and outrageous that the Dutch government, of all countries, chooses to impose sanctions against civilians who endured the Holocaust on its territory and who subsequently chose to move in with their children at an old age," she said. "It is hard to accept such harassment of survivors, whose welfare needs to be sacrosanct in the eyes of the Dutch authoritiesm," Israeli Jpost said. Rabbi Eliezer Berland fled Israel after allegedly committing sexual offenses in women, including a minor, who came to seek his counsel; attorney says rabbi will appeal decision. A court in the Netherlands decided on Thursday to extradite Rabbi Eliezer Berland to Israel, where he's wanted for questioning on suspicion of sexual offenses. Rabbi Berland, one of the leaders of the Breslov Hasidic movement in Israel, escaped the country almost two years ago after suspicions against him arose that he committed sexual offenses in women, including a minor, who came to seek his counsel. He has since moved from one country to another - including Morocco - with hundreds of his followers, out of fear he would be extradited to Israel. Rabbi Berland's attorney, Sharon Nahari, said he intends to appeal the decision. "We're studying the decision at the moment," Attorney Nahari said. "We've agreed with Dutch authorities that he won't be arrested at this point, so he could continue wandering freely in the Netherland. We intend to file an appeal that will be in court in a few months. We also intend to turn to the European Court of Human Rights in Strasbourg, and we'll await an answer to the appeal. We're still confident that our arguments are good arguments and the rabbi shouldn't be extradited to Israel." Rabbi Berland was arrested last September by the Dutch police while he was in Amsterdam. The Justice Ministry announced then that Israel intended to demand his extradition, after the arrest was made at Israel's request with an arrest warrant issued by Interpol. 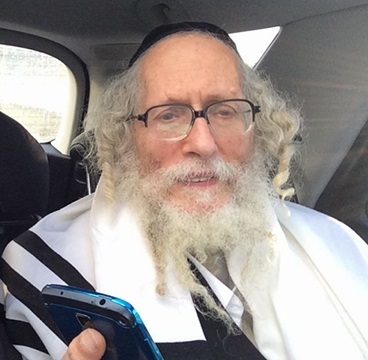 A day after Berland's arrest, a Dutch court ordered his release. The court accepted Berland's claims and released him on bail. In a conversation with Ynet after his release, Berland rejected the accusations against him. "All of a sudden two policemen came and told me I was under arrest. The police in Israel are persecuting me."